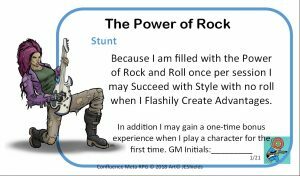 Confluence RPG September 8, 2018 September 8, 2018 Comments Off on Rocking Confluence City! Are you ready to Rock? We are. With convention schedules changing it’s been way too long since we last ran the Confluence Meta RPG, but it’s time! 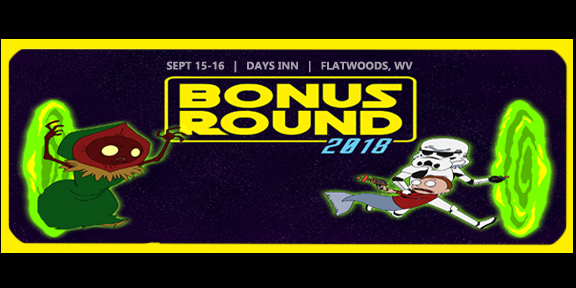 On September 14th and 15th we will be at the Charcon Bonus Round in Flatwoods, WV. We couldn’t be more excited. Bonus Round has some great new things going on this year, including the first Flatwoods Monster Music Festival and so our theme for Confluence will be Monsters of Rock! 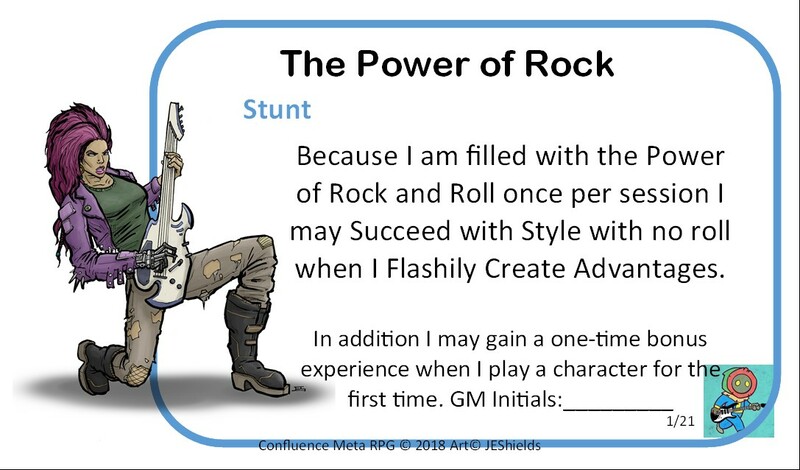 We will have a full set of new cards to earn in our meta game and a brand new RPG scenario where your team will engage in a battle of the bands to determine the future of Confluence City. Oh, and here’s a teaser card. 2017 Events and an Easter Bonus!